Empirical study of long term outcomes for persons with schizophrenia suggests that recovery is often possible. This literature also emphasizes that recovery may involve different kinds of experiences for different people with the same psychiatric condition. For some, recovery may mean symptom remission while for others it may be reflected by the achievement of psychosocial milestones. For yet others, however, to recover can involve subjective changes in how those persons experience themselves as meaningful agents in the world. For some, to recover could be to reclaim a full sense of self, a sense of self that can meaningfully engage others and the rigors of daily life. In this chapter we review the potential of individual psychotherapy to address the more subjective aspects of recovery related to sense of self. 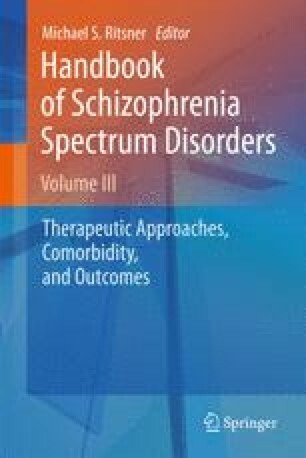 We first review literature on the effectiveness of psychotherapy for persons with schizophrenia. We then discuss literature on the larger issue of how decrements in personal narrative and metacognition may underpin some of the disturbance in sense of self observed in schizophrenia. Finally, we focus on how psychotherapy could be conceptualized and adapted to help enrich self-experience by addressing narrative and metacognition. Directions for future research are discussed.